Community mental health care is at its infancy in Montenegro, and NIDUS-UK is making a start in reform by training social workers in nidotherapy and multidisciplinary practice. 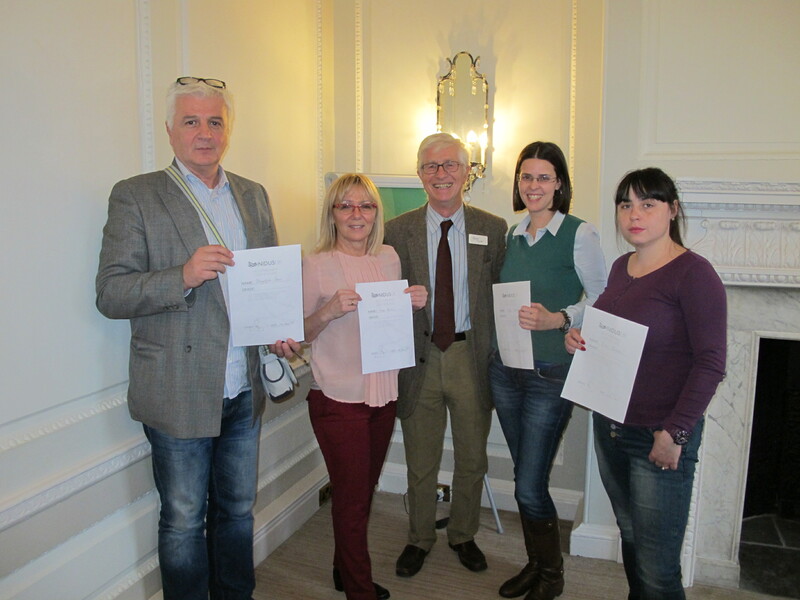 Four social workers from Kotor and Tivat – Nada Matkovic, Dragoljub Saric, Zeljka Stevovic and Ena Grbovic, with the help of Maja Ranger, Jovanka Tolmac and Jasna Munjiza, received an intensive 7 day course in February both at our nidotherapy workshop in Hampshire, and at rehabilitation settings in Central London. They were enthusiastic about the breadth and depth of the involvement of patients in the training. ‘It was a revelation to see how much patients contributed to our discussions’, said Nada. ‘They made some very good suggestions and made us realise how valuable they can be in developing our services’. The second part of the training, supervised by Dr Maja Ranger, a consultant psychiatrist from Montenegro, and Peter Tyrer, with help from Dr Aleksandar Tomcuk, director of the National Institute for mental health in Montenegro, will take place in Kotor later this year. The project has been supported generously by Porto Montenegro and NIDUS-UK would like to acknowledge this valuable assistance.